What makes a great composition in Photoshop? Well, that all depends on what you’re trying to achieve and personal taste – I won’t even attempt to answer that. What makes a composition believable? That one is a little bit easier… We’ve all seen bad Photoshop jobs – you know, those where colors are way off, lighting is terrible, or edges are left jagged and pixellated. For the most part, I’d attribute a believable Photoshop composition to having qualities that mimic realism. Consistent use of colors, none of those jagged edges, appropriate use of shadows and lighting, proper perspectives, and most importantly, attention to detail. Want more samples and inspiration, just search for Photoshop Speed Art on YouTube, and there is a plethora of content to get your creativity flowing. Want to create these for yourself? 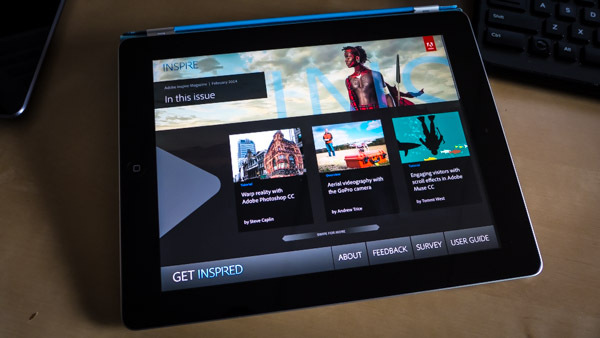 Just become a member of Adobe Creative Cloud – you’ll have everything you need. Then check out the Photoshop learning center to learn how to make the most of the creative tools. The latest release of Photoshop has some amazing new features, one of which is 3D printer support. The new 3D printer support makes printing your 3D models easier, regardless of whether you modeled it within Photoshop or some other 3D modeling tool. Photoshop will even inspect your 3D models for water tightness and generate support scaffolding to ensure a high quality 3D print. Photoshop now supports local 3D printers from Makerbot and 3D Systems, but if you don’t have a 3D printer, don’t worry, you can still print 3D objects! Through a partnership between Adobe and Shapeways, you can now package 3D prints and send them to Shapeways’ 3D printing service directly from Photoshop. I’ve been experimenting with 3D Printing support, and it is pretty amazing. 3D printing is being adopted in innumerable scenarios – in medicine for prosthetic limbs or replacement joints, to manufacturing and engineering for custom parts, to sculpture and jewelry, and much more. I started out by creating a few simple models and downloading existing models from the web. Check out the video below to learn more and see 3D features within Photoshop in action. All of my 3D printing so far has been through the Shapeways service. This service will automatically inspect your 3D models for thickness/printability, and gives you immediate feedback whether or not you need to make any changes. Be sure to pay attention to the details of Shapeways’ materials, since they have different characteristics, minimum thicknesses, and associated cost. Once your object is printed, it will be mailed right to your doorstep. My first example is a 3D printed name plate, modeled entirely within Photoshop. I took a text layer, extruded it into a 3D object, then added a cube (stretched to the size of the text) as a base. Just request a 3D print, and out comes a nice 3D model. This one is the “Coral Red Strong & Flexible Polished” material from Shapeways. Check out the video above for details on how I created this. My second example is a dragon, which I downloaded from a free 3D models site. This model was not created in Photoshop. I believe this model was originally intended for video games or renderings, but Photoshop had no problem scaling and printing it. Photoshop can read many common 3D model formats (.obj, .3ds, .dae, etc…), and makes the printing process simple, regardless of where the model was created. I had to go through a few iterations to find a material and size that was actually printable because the model is very intricate and delicate, but I was finally able print it using the “White Strong & Flexible” material. If you’re wondering “did those cost a fortune”, the answer is NO! The cost depends on type and amount of material you’ve selected. The dragon was $32.65, and the “Adobe” letters were $24.90 USD, including shipping. 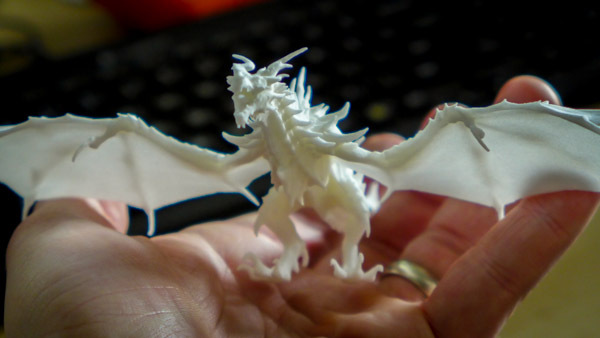 Ready to create your own 3D prints yet? 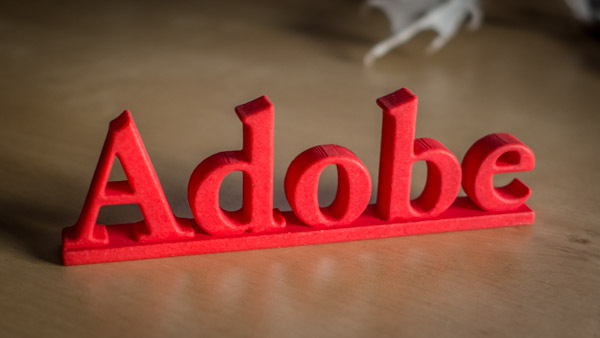 Check out the videos below to learn more about 3D printing with Adobe Photoshop CC. By fellow Adobe evangelist Paul Trani. I’ve also used Paul’s technique to model a few custom iPhone cases myself. Adobe iPhone Case v2 from andytrice on Sketchfab. If you’re already a member of Creative Cloud, then you have everything you need to create your own 3D prints with Photoshop. Just download the latest version, and you’re ready to go! If you’re not already a member of Creative Cloud, then become a member today!